Covey's Carpets, Inc. opened near Kings Park in Springfield on May 1, 1981, and continues to be a mainstay of the Greater Springfield area. Covey's, a small family owned business, offers residential and commercial customers many choices of floor coverings. Often, the custom designs are fabricated on-site to accommodate idiosyncrasies of a room. Available products include hardwood, sheet vinyl, laminates, carpet and hybrid type floors. It is the mission of Total flooring, LLC,to become the preferred flooring, interior, exterior painting, bathroom remodeling and green green flooring company in Northern Virginia. We will accomplish this by providing to our customers a quality of service and workmanship that no other flooring, bathroom remodeling, or painters in Northern Virginia can match. We are a family oriented company with a goal of making sure your family feels great about going with our local area company as their hardwood flooring, bathroom remodeling or residential painting solution. Integrity is the foundation that every company should be built on, and we make sure to cover it on every job! Total Flooring, LLC will be a company that all of Northern Virginia can trust their homes to. I have 10 years of experience in Flooring. I've decided to begin my own Flooring Company this year. It's a small Family Business. With my help and my company we will all make sure you will Love your Flooring that you will not get Board (bored) of seeing it. I install the following Floor: Ceramic, Tile , and Wood. Please give me a call or text to schedule your next Flooring Project with my Company! 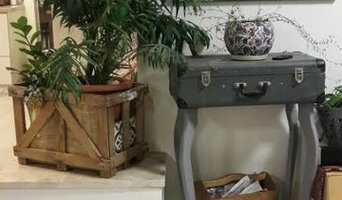 Handmade rugs Buy,Sale,trade, cleaning and repair! S & H Floors in Gaithersburg MD is a family owned business focused on flooring solutions. S&H Floors was founded by Hector Villegas who has over 20 years of experience in the flooring industry. We lead the competition in residential, commercial, property management, and builder multi-family flooring needs. We pride ourselves on maintaining an excellent reputation and providing clients with the best customer service. S&H Floors consistently provides our clients with top quality workmanship and materials for very affordable flooring solutions for every budget. 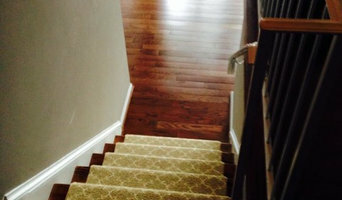 Gaithersburg MD Carpet, Hardwood Flooring expert in Montgomery County MD. Floorlabor is a flooring installation company with installers and estimators that house over 20 years of flooring experience. The installers and inspectors that are associated with our company are installers for much larger retail chains and individual contractors. Quality flooring materials are available at reasonable prices, but even the finest, most attractive materials will look disastrous if installed with sloppy workmanship. Capitol Surfaces is a general contracting business that specializes in all areas of home improvement. 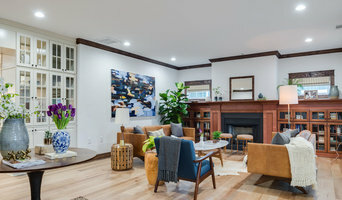 We are always happy to rejuvenate your home decor by providing superior quality remodeling, renovation, and refinishing services. Contact us today to request an estimate of your next home improvement project. Flooring Central of Charles Co.
*Authorized Dealer of Shaw Floors* Locally owned and operated flooring store. With our many years of industry experience installing flooring, we offer not only expertise but peace of mind—you know the job will be done right the first time. To schedule installation services, please contact us. Our Company was established in 2001 to provide the highest quality construction services at a fair price. Our project team has decades of experience that translates into beautiful finished projects. Every person on our team was choosen for their outstanding work, excellent communication skills, and being all around great people. We are very proud of our team and we think you will be too. Thanks for visiting our website. We look forward to learning about your project and individual needs. Please choose your preferred method of communication and we will contact you shortly. 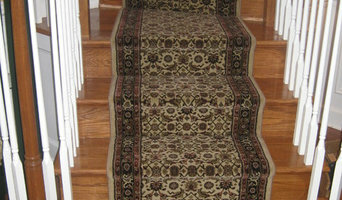 Ayoub Carpet Service has been serving the DC Metro, Maryland and Northern Virginia since 1952. Alexandria Carpet One Floor & Home features the finest selection of carpet and flooring in the Northern Virginia, Maryland and Washington D.C. area. Bring lasting beauty and style to your home with elegant wall-to-wall carpet and area rugs – including luxurious merino wool, natural hardwood, laminate flooring, vinyl and an incredible array of designer tile. We are also your source for eco-friendly and green flooring products, like bamboo, cork and linoleum. It doesn't matter whether your basement flooded from the rain or a pipe burst, you'd better call Flood Damage Pro of Bethesda! Our technicians will get to your location quickly and immediately start working to minimize the damage and to prevent mold growth. The sooner we start, the easier the restoration. Stop wasting time and call us now!